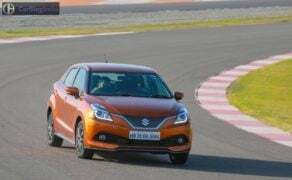 A more powerful petrol variant of the new Maruti Baleno, the new Baleno RS is being promoted as a sporty offering that’s aimed at the fast growing breed of hot hatch buyers. Oh, by the way, the ‘RS’ here is for ‘Road Sport’. 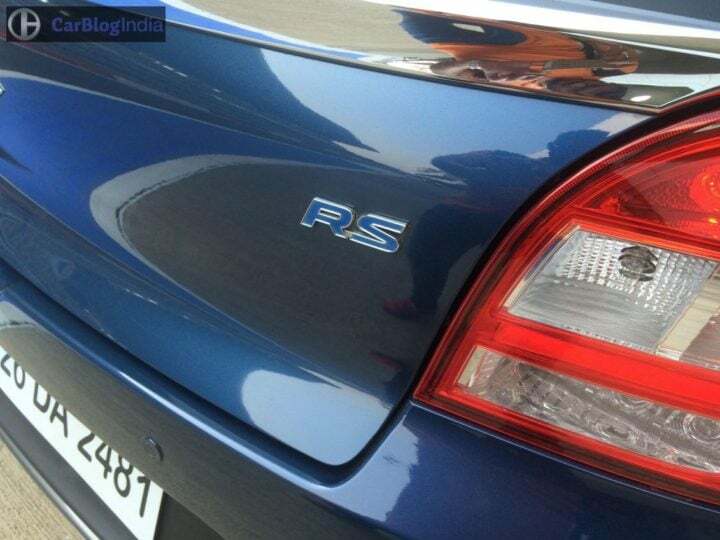 This isn’t the first time Maruti has slapped on the RS badge to an existing model. 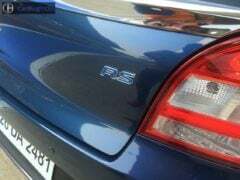 The manufacturer earlier sold the Swift RS and the Ciaz RS. 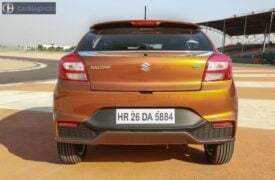 What’s new, however, is the fact that while the RS suffix on the Swift and the Ciaz translated to ‘Rally Sports’ and ‘Relentless Spirit’ respectively, the Baleno’s RS badge expands to ‘Road Sport’. So, you get the idea here – the Baleno RS is basically a road-going sporty variant of Maruti’s popular premium hatchback. Yes, Maruti has made sure the new Baleno RS doesn’t look exactly like its less powerful sibling. While the design remains unchanged, the Baleno RS does get a handful of visual enhancements to hint at its performance credentials. 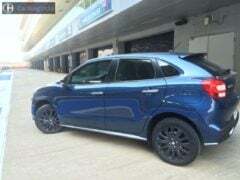 It comes with a new set of bumpers, which look bolder and sportier than the ones on the regular Baleno. The front bumper gets a diffuser to make the car’s front-end look racier. Even the rear bumper is new and has a sporty look to it. The car also gets side skirts and black-painted alloys. The biggest highlight, however, is the introduction of a wire mesh grille to make the car’s nose look distinctively sporty. Maruti has chosen to carry over all the chrome bits from the regular model. While this might feel a bit odd to the purists, most of our chrome-loving car buyers are likely to only appreciate the presence of the ‘supposedly premium’ bits. On the inside, the Baleno RS looks bog similar to the regular variants. This means you get the same spacious cabin that has an all-black color theme. The only minor difference arises out of the new floor mats, which come with ‘Baleno RS’ embroidered on them. 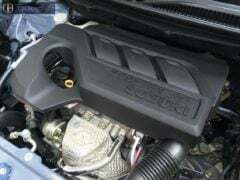 The new Maruti Baleno RS features a 1.0-litre 3-cylinder Turbocharged Petrol engine. It outputs 100 HP and 150 Nm, which makes the new variant 20% more powerful and 30% more torque-y than the 1.2 Petrol model. The turbo is a fixed geometry unit and the engine further benefits from direct injection. Also, the exhaust manifold is integrated with the cylinder head to save weight. The turbo’s wastegate valve opens at lower engine speeds to optimize fuel efficiency. 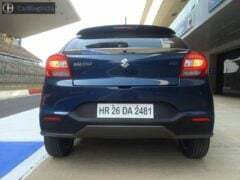 We drove the Baleno RS on the Buddh International Circuit, which gave us ample opportunity to push the car to its limits. Okay, let’s face it, the Baleno RS is not a tarmac scorcher. No, it ain’t no slouch either, but you’ll be disappointed if you harbored hopes of VW GTI-like performance. That said, the Baleno RS is definitely an eager performer. Thanks to a more powerful motor and a low kerb weight of just 950 KGs, the Baleno RS is pretty quick off the block. It’s important to mention here that the turbo lag is minimal and hardly noticeable. 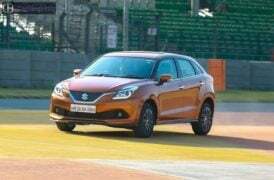 The Baleno RS hits the ton in roughly 12 seconds, which makes this car sufficiently quicker than most of the petrol-powered B-segment hatchbacks out there. This car hits 100 KMPH in third gear and we could achieve a speedo-indicated 170 KMPH on the back-straight of the erstwhile F1 circuit. 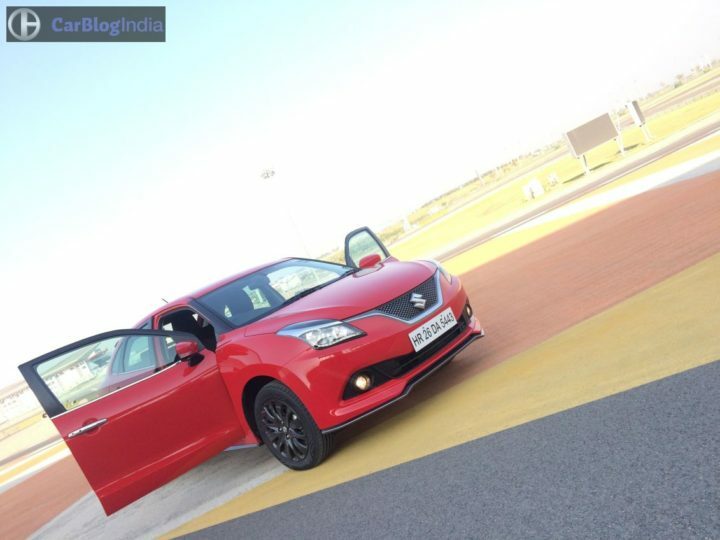 Our guess is that the Baleno RS can hit roughly 180 KMPH on a long stretch of open road. We are yet to drive the car in city conditions, but we guess that the linear power delivery should help the Baleno RS effortlessly keep up with most of the fast-moving traffic. The only cinch in the armour here is the lack of an automatic transmission. While the 5-speed Manual Transmission offers well spaced gear ratios, we would like a performance-oriented model, like the Baleno RS, to offer a dual clutch automatic transmission, too. 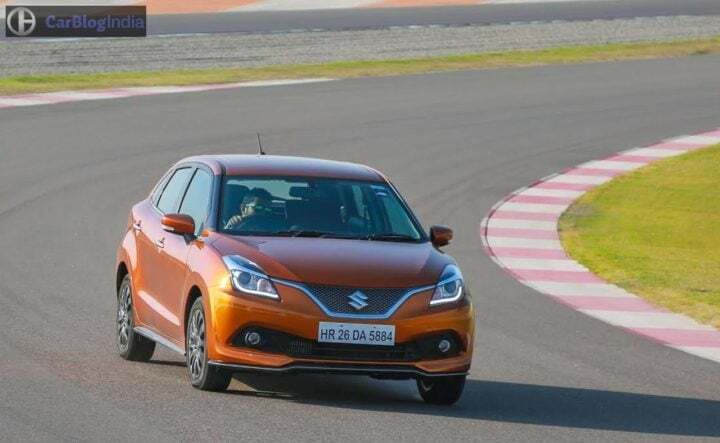 The Baleno RS is considerably heavier than the Baleno 1.2, which means Maruti was required to re-tune the car’s suspension to accommodate the increase in weight. Maruti goes on to insist the revised suspension aids the car’s handling prowess. 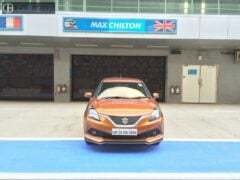 On the circuit, the Baleno RS exhibited a pretty well composed demeanor. The steering isn’t too light, but offers little in terms of feedback. However, the Baleno RS feels a lot more stable at high speeds than its less powerful siblings. The grip level from the Apollo Alnac rubber is far from phenomenal, but off the track, most drivers won’t complain. Unlike the regular Baleno, which loses stability pretty rapidly as you accelerate north of 130 KMPH, the new Baleno RS is relatively better planted even at 150 KMPH. The Baleno gets disc brakes on all four wheels. The brakes have a strong bite and feel reassuring. We slammed the brake pedal hard on a couple of occasions, and the Baleno RS was very quick to shed speeds. 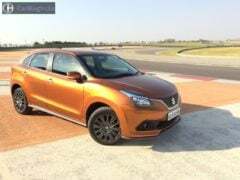 We couldn’t test the ride quality, but you can watch this space for a full fledged Maruti Baleno RS test drive review. Is it not a Bit Expensive? Well, on sale for an introductory price of Rs 8.69 lakh, the new Maruti Baleno RS is a whopping Rs 1.4 lakh costlier than the Baleno 1.2 MT. All the extra dough the new model commands gets you a 1.0 Turbo petrol engine and some visual updates to impart that racy look to the car. Also, let’s not forget that the suspension settings have been revised to suit the increase in weight. Maruti insists that the revised suspension goes on to aid the handling manners. Answering your question- Well, the Baleno RS surely doesn’t come cheap; you end up paying more than 20% over the similarly equipped Baleno 1.2. However, for the premium the Baleno RS commands, you get 20% more power and 30% more torque than the 1.2 NA variant. You also get some visual enhancements to validate this car’s sporty aspirations. The Baleno RS is priced just about 40 grands lower than the Volkswagen Polo GT TSI. 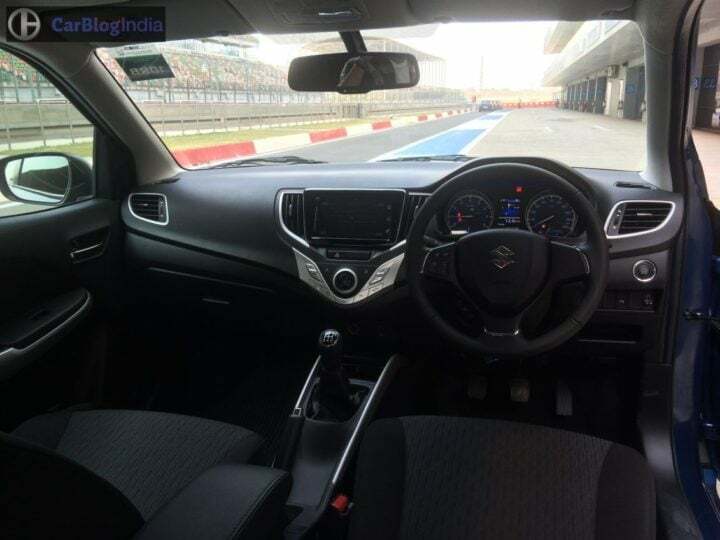 Moreover, the German rival even offers a 7-speed DSG, but the Baleno RS ends up offering much more in terms of cabin space, ride comfort, after sales network, cost of ownership, et al. The Baleno RS carries all the virtues of your vanilla Baleno petrol, whilst offering a sportier driving experience and a spruced up exterior. The Baleno RS should appeal to all those who want a quicker, more powerful and a sportier petrol-sipping Baleno, but without compromising on bits like ride quality and fuel efficiency. Makes plenty of sense now, does not it? 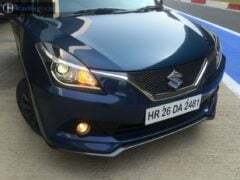 What do you say about our Maruti Baleno RS Test Drive Review? Stay tuned for a detailed report to follow these first impressions.